There’s just something about seeing a band that’s playing their very 1st show. The nervous energy. The uncertainty. The sheer newness (is that even a word?) of the whole thing. Now, normally, this moment is at a neighborhood bar, coffee shop, or at some house party. Not often does it include music’s mad scientist and a direct descendant of rock royalty in front of a packed Beacham Theatre in the middle of downtown Orlando. This notion was not at all lost on the highly engaged crowd on a steamy Saturday night in Central Florida. Les Claypool will always be Les Claypool. There is no other and may never be another cut from the same cloth for as long as humanity exists. So, going into this experience, one understands exactly what to expect from him. Sean Lennon, not quite-as-easily pinned down. When paired with someone as uncommon and immediately identifiable as Claypool, it must be difficult to find your space and be an equal counterpart…even if your dad was a Beatle. As we know, Sean is John Lennon’s youngest son. What’s less known is how totally underrated a guitarist he is, and that he’s a near mirror image of his father. Not just visually, but sonically as well. There were times during the set where if you just listened, you’d swear that John was up there singing. So beautiful, yet so haunting (in a good way). And it’s that spiritualistic quality (literally and figuratively) that completely brings this band’s music together and makes it unique from any of Claypool’s other outside endeavors. The sounds of Primus and psychadelic Beatles-era influences are clearly part of Delirium’s DNA, but there was one particular outside sonic hallmark that was almost immediately evident. Syd Barrett-era Floyd. Doubtful this was a conscious decision, as this incredibly unique, super psychedelic style of music has merely existed…well…once in music history and stems from the literal manic insanity of Barrett himself. Some have tried to emulate it. All have failed. Hell, even Pink Floyd themselves couldn’t totally pull off Syd’s songs (or sound, for that matter) once he completely went off the deep end. Not a knock on Floyd, by any means. Barrett was just that different from everyone and everything else. So when the notes and textures flowing out of the speakers immediately spark thoughts of Syd Barrett-era Floyd, Claypool and Lennon have successfully pulled off something special. Doesn’t hurt that they threw “Astronomy Domine” late into the set just to bring it all together. As palpable as the anticipation actually was of hearing this brand new band perform in front of people for the 1st time, there was one bit of buzz that one could not escape from. Will they play The Beatles? 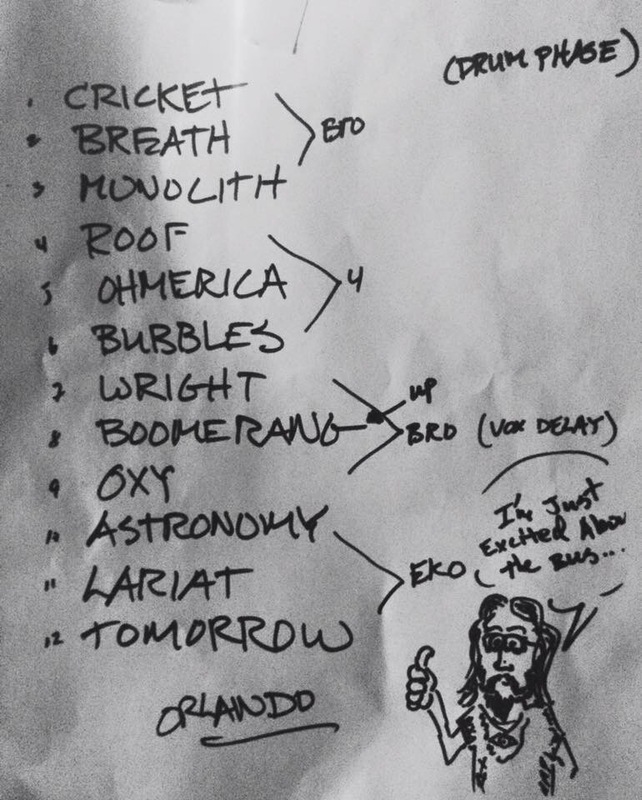 It was nice surprise hearing “Up On The Roof” (a Frog Brigade cover) and from that point, it was basically a foregone conclusion that they’d play something from Primus (a STELLAR “Southdown Pachyderm” for the encore). But, the question still remained…will they play The Beatles? Coming out of some resonant space at the end of “Captain Lariat”, that question was answered with a stunningly powerful rendition of “Tomorrow Never Knows“. The wave of realization within the crowd of what was happening as the notes reverberated thru the theatre was unmistakable. Just listen. It sounds like John. Goosebumps.